With this week’s start of the 2017-2018 academic year, Chapman University Dale E. Fowler School of Law is pleased to welcome the new Class of 2020. 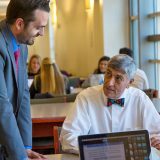 The incoming class is one of the strongest in recent years, with LSAT/GPA averages representing the highest in the last three years. The student body includes representation from 68 undergraduate institutions, 16 states, and six foreign countries. The class is 26 percent first-generation college students and 43 percent minority students. 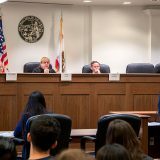 The new students kicked off their law school careers last week with Launch Week, a four-day orientation program that introduced them to law school life and the substantive, procedural, and professional aspects of their legal education.